Attractive football award, 11in tall, made in resin with gold and black colour finish. 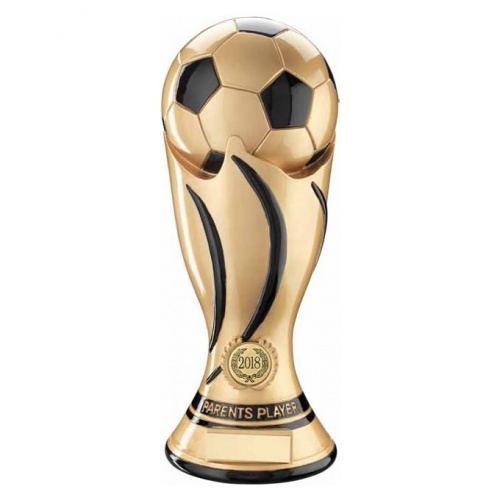 These versatile trophies are suitable for both boys and girls football awards. They feature the legend 'Parents Player' above a medal engraving plaque.